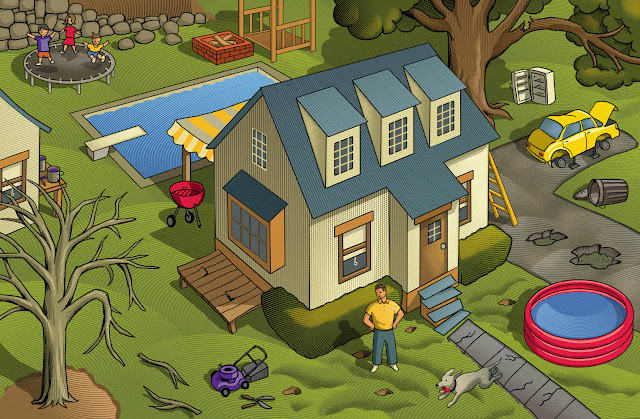 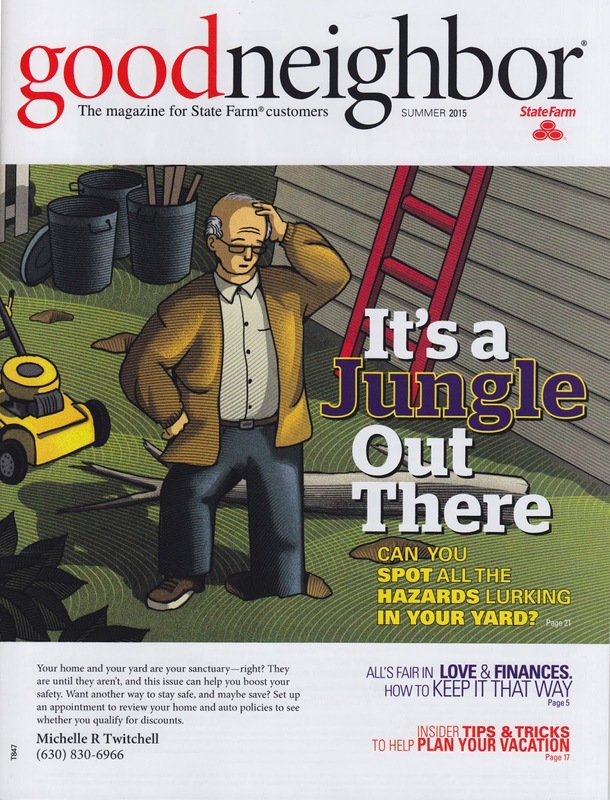 Chris Gall was hired to illustrate the cover story for State Farm's customer magazine, goodneighbor, for their summer issue. 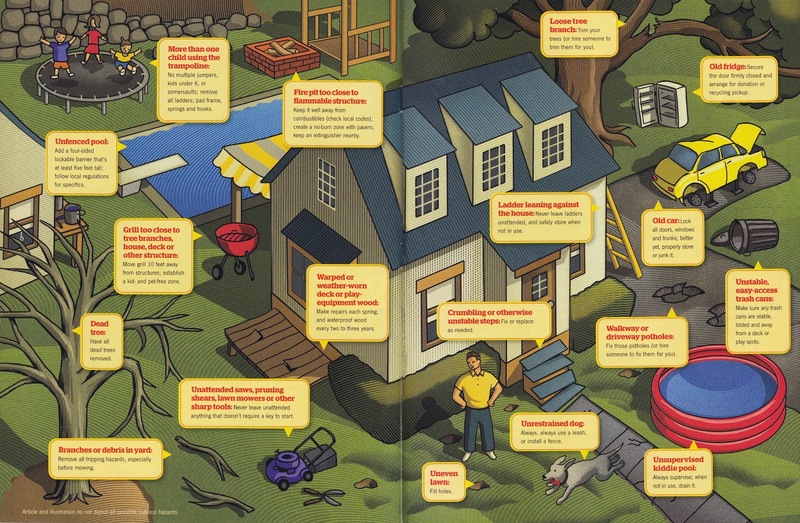 The article highlights the hidden hazards of your yard from dead trees, to old refrigerators the story covers everything that could put you and your family at risk. Check out more from Chris Gall here!